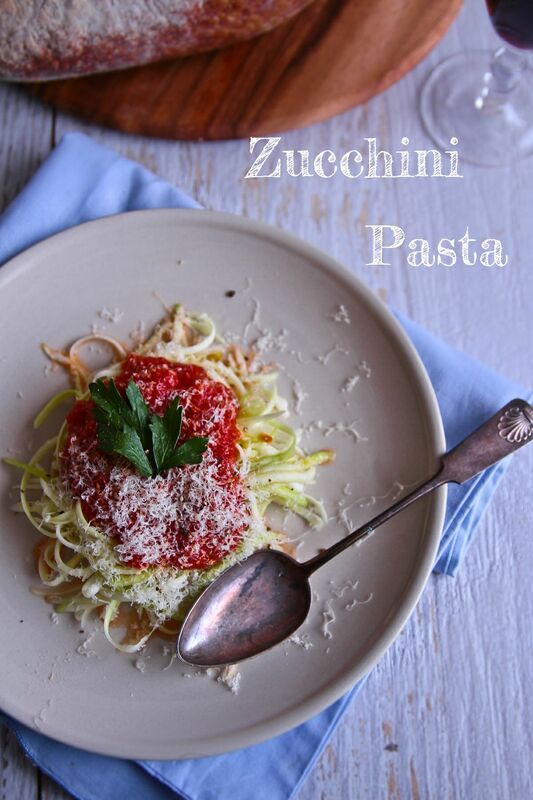 Low Carb Easy Meal: Zucchini Pasta In Three Minutes! As much as I don't really care for sports, the same cannot be said for men in sporting outfits. For that, I'm a big appreciator (as well as men in suits). This bewildered Mr NQN. "So, you want me to wear my cycling gear but you don't want me to go cycling on the weekend?" he asked me. "Well, yes, exactly!" I answered. Sydney's drivers are amongst the most impatient I have seen and this makes for careless driving at the best of times. "And the wetsuit looks good too but it's shark season so please don't go surfing!" Of course Mr NQN does go out and do his sporty thing. I stay inside and work on my computer and watch my favourite television shows and the arrangement suits us both. He gets to do his running around and I get to escape to a fantasy world of vampires, meth dealers and Edwardian splendour. This dichotomy means that he is very fit and I am less so and instead I employ measures like eating this low carb zucchini pasta. This is a remarkably easy, quick and healthy meal that actually tastes rather good too. 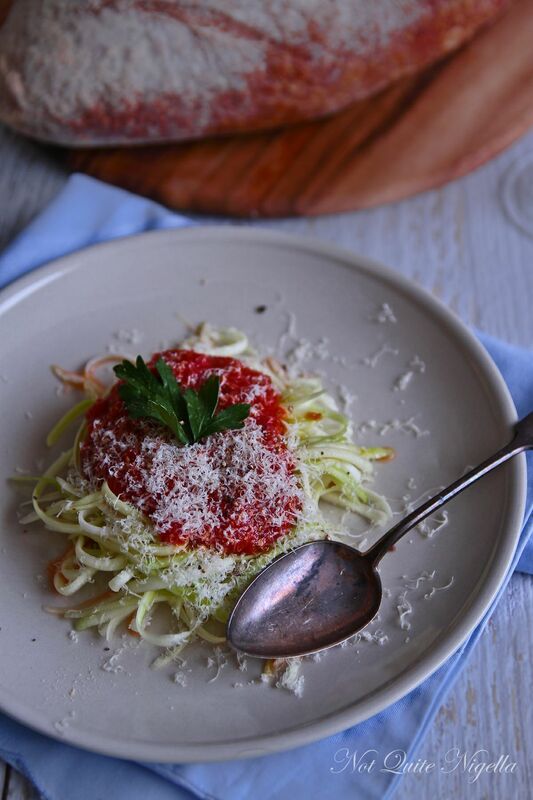 Raw zucchini actually has very little taste to it and is the perfect backdrop for your favourite pasta sauce. I've had this at least a dozen times since Christmas for either lunch or dinner and it averages out to about 100 calories or 400 kilojoules a serve. It mostly depends on the pasta sauce that you use. Not only that, I usually leave the skin on and it provides fibre and is made in about three minutes flat. Given how hot it has been lately, I don't even bother heating up the sauce. So tell me Dear Reader, are you interested in super quick meals? And do you think that you're fit or could you use some improvement? Step 1 - You can leave the skin on the zucchini, it was obviously be green in colour but has fibre and nutrients or you can peel it if you don't want it to look green and more pasta-like. Using a peeler, peel off strips of the zucchini until you get to the seedy core. 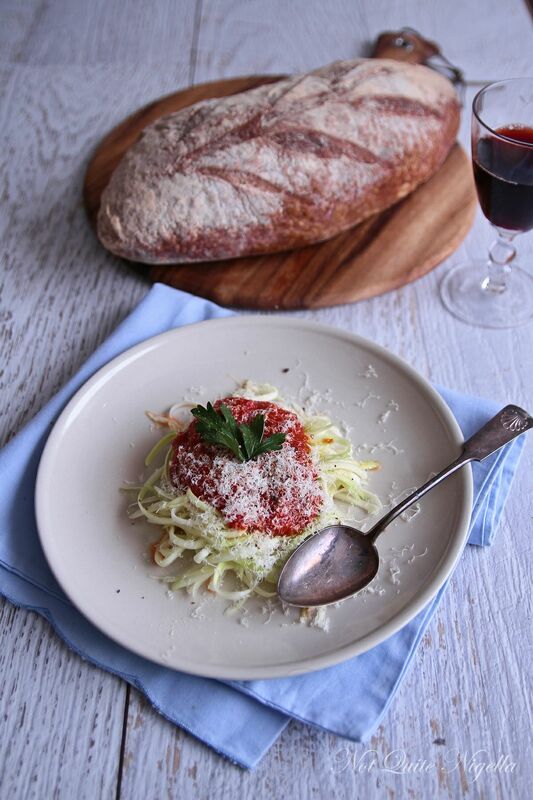 Place on plate raw and top with your favourite pasta sauce. Tip: you can use the seedy core when you make pasta sauces as it melts down to a beautiful texture, much like eggplant.